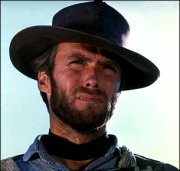 Put these Clint pictures in the order of the year of the movie they were taken from, starting from the earliest picture (First) to the latest picture (Last). 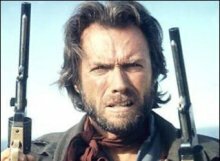 9) What genre of films was Clint associated with, especially earlier in his career? 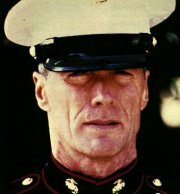 13) Where did Clint lead his troops at the end of "Heartbreak Ridge"? 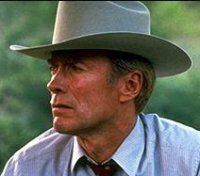 10) Which Clint-directed movie won Best Picture at the Academy awards, with Clint also snagging Best Director? 14) Where was the money that Clint and his buddy Jeff Bridges stole hidden in "Thunderbolt and Lightfoot"? 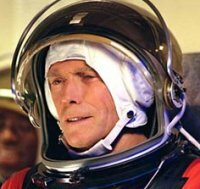 11) What was the first movie in which Eastwood co-star with an orangutan? 15) In the WWII classic Eastwood flick "Where Eagles Dare", what was the radio call sign for Clint's group? 12) What's hanging over Clint's head in "In the Line of Fire"? 16) In which 'giant bug' movie of the 1950's did Clint make an appearance early in his career? 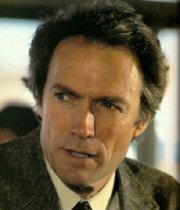 17 - 21) Dirty Harry audio match-up! 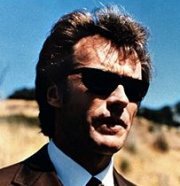 Five Dirty Harry movies. Five audio clips, one from each of 'em. Match the clip to the flick.